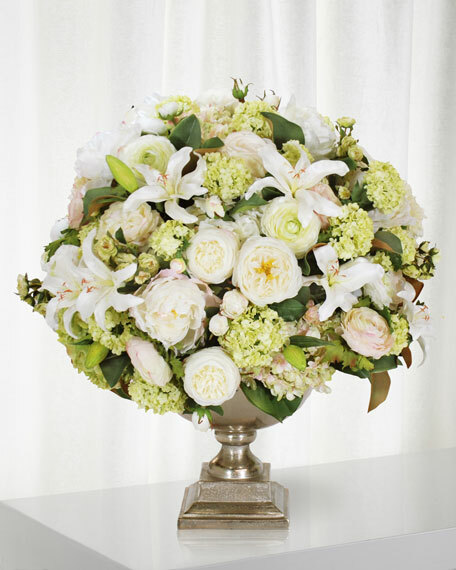 Stunning peonies, roses and hydrangea's arranged in a charming silver trophy style vase, with a strong focus on the lustrous shades of white and thick layers of petals artisans were sure to capture from nature. It lends itself as an electrifying statement... electrifying any interior setting. 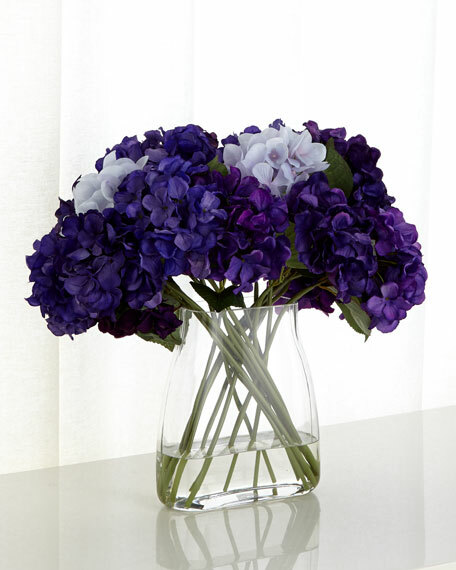 Permanent botanical fixture in urn vase. 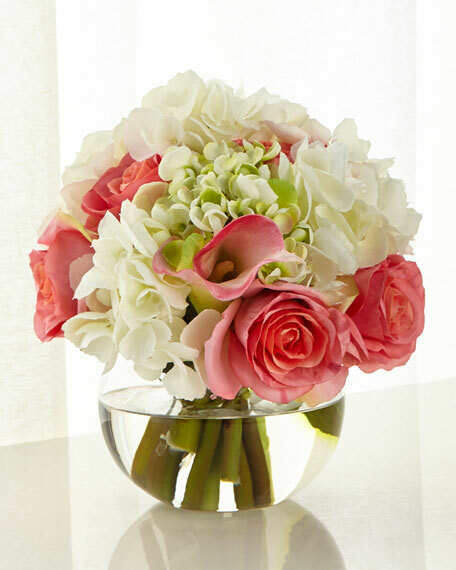 Hand-painted floral stems are curled. 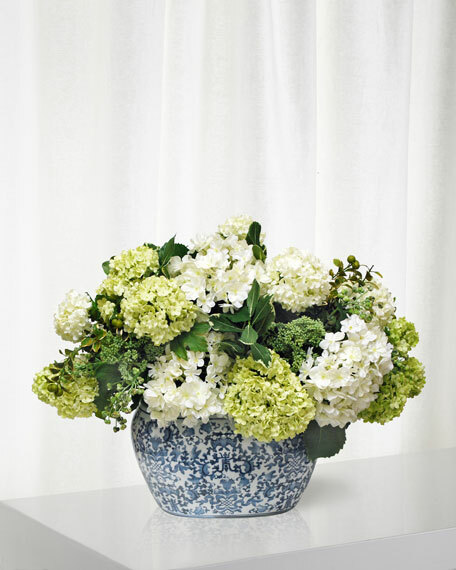 28"W x 24"D x 28"T.
A "freshly picked from the garden" aspect, soft green and white hydrangea set in a blue and white ceramic pot, perfect for a side table or small kitchen table centerpiece. 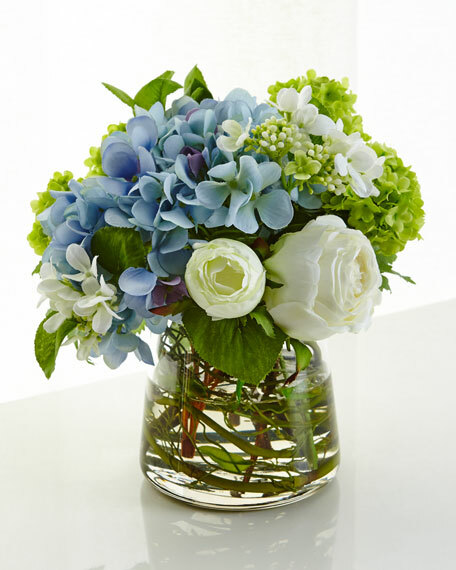 Lifelike, handcrafted hydrangeas and roses in a glass vase. Florals, polyester.10"W x 11"D x 9"T.Imported.